Today's intranet typically looks like a frustrating mess of abandoned content – difficult for employees to use and content owners to govern. Traditional intranets are rarely mobile-friendly and can be a challenge for IT to integrate, maintain and support. It's time to transform the intranet, but what should a modern, mobile intranet look like? 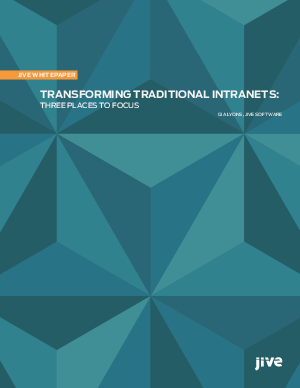 Download the paper and start modernizing your traditional intranet.